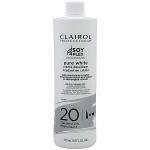 Clairol Professional Soy4Plex Pure White Creme Developer 20 Standard Lift mixes easily with Clairol Professional haircolors and powder lighteners into a ceamy consistency. Use with Clairol Professional liquicolor permanente to activate Soy4Plex for the 4 signs of healthy looking color: deep conditioning, heatlhy reflective shine, natural looking multi-dimensional shades and long lasting results. Standard Lift is designed for standard lightening action and superior gray coverage. 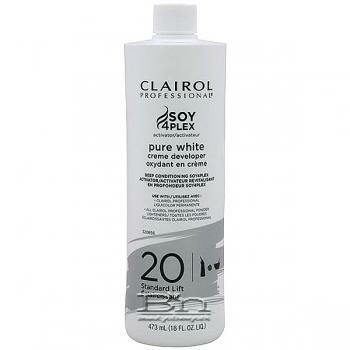 Directions: For best results, follow haircolor manufacturer's recommended mixing instructions. Mix well. Recommended for bowl and brush or bottle application.